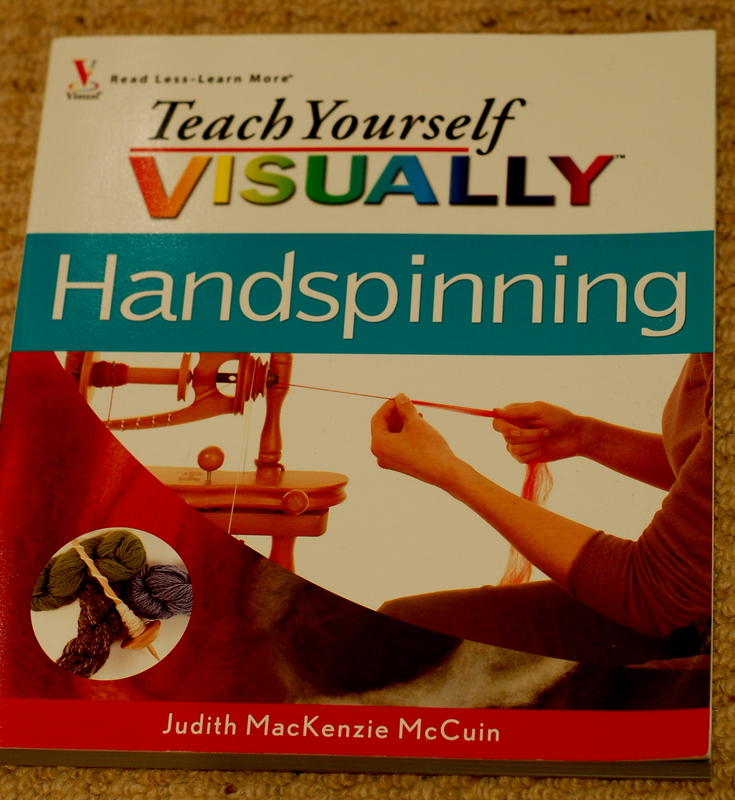 I received Teach Yourself Visually Handspinning by Judith MacKenzie McCuin as another Christmas gift (thanks Mom!) this past Christmas. Now, I do need to state the obvious up front; I already know how to spin. However, if this is also the case for you, I would still not hesitate to buy this book. Why? The book has tons of handy little tricks and tips in that even an experienced spinner can use and the photography and explanation of the equipment and techniques is absolutely top-notch. Judith MacKenzie McCuin is considered one of the best teachers of spinning in North America currently for a very good reason. Not only does she know a LOT about it, but she also can explain it in a simple, straightforward method. The book starts out with a very short explanation of why we should want to spin then moves into a very well photographed section on spinning tools. It then moves into a brief but good introduction to the majority of fibers that one would want to spin before moving into the preparation of fibers. This area is usually where I find the majority of spinning books fall short. Judith’s book shows clear, concise photographs as well as descriptions of what is being done in them. I would buy this book for this chapter alone! Next comes the introduction to actually spinning. I like that the book shows how to use both a drop spindle as well as wheel in all areas where technique are being shown. All of the instructions are clear, though I think that this is the one area where it is neigh-on impossible to really show a person how to do it with pictures. However, Judith a better job than anybody else I’ve seen so far! She then goes on to show how to make various kinds of yarn, spin various “exotic” fibers and finally to dye your yarn. The book is a an excellent go-to book for even an experianced spinner as it covers so many techniques and skills that you will find yourself reaching for it again and again. I rate this 5 (yarn) balls!